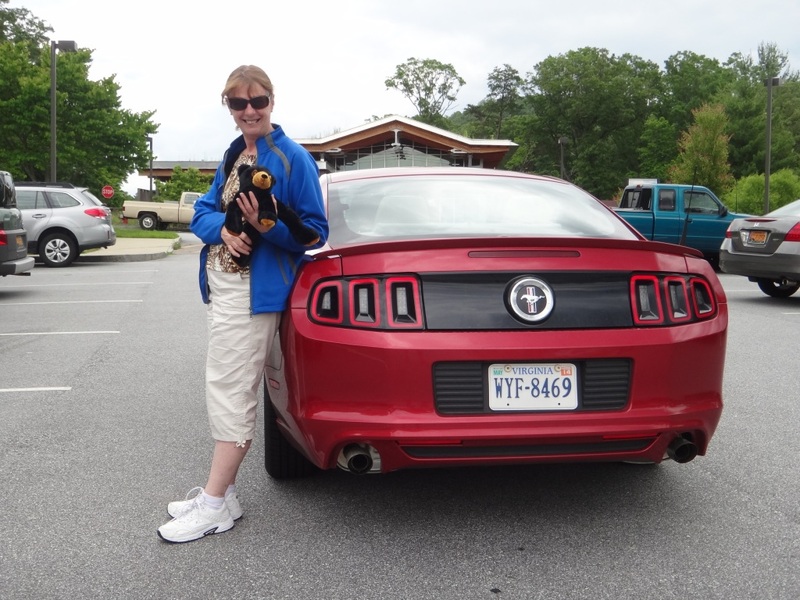 Photograph 1 - On the road between Savannah and North Carolina - the Mustang's business end. 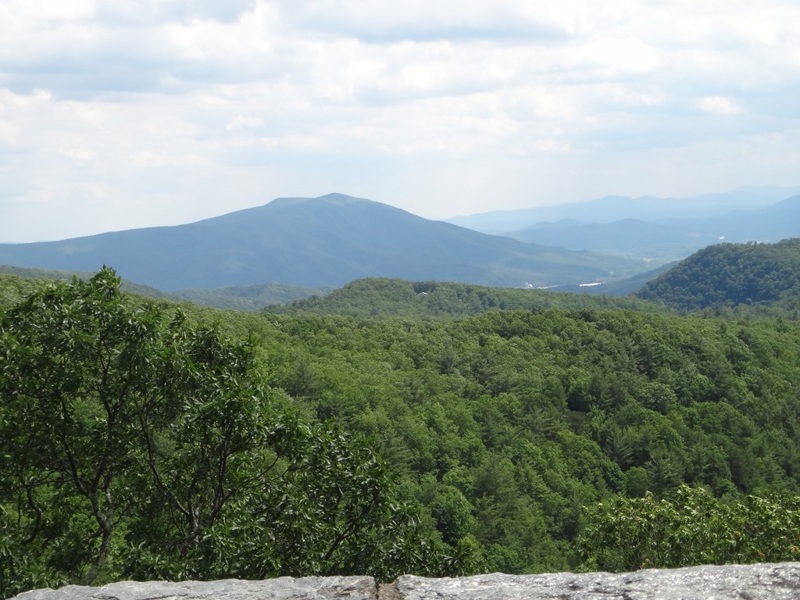 Photograph 2 - At the Blue Ridge Visitor Centre, North Carolina - the start of the 2.5 day scenic drive. Note the bear that joined us. Photograph 3 - Tunnel ahead! Somewhere near Craggy Gardens along the Blue Ridge Parkway NC. Photograph 4 - Graybeard Mountain Lookdown, along the Blue Ridge Parkway NC.----------------------------------------------------------------- Photograph 5 - Somewhere near Crabtree Falls along the Blue Rridge Parkway NC - really on top of the Appalachians and in old Cherokee Indian country.------------------------------------------------------------------------------------------------------------------ Photograph 6 - Linn Cove Viaduct not far from Blowing Rock North Carolina.---------------------------------------------------------------------------------------------------------------------------------------------------------------------------------------------------------------------------------------------------------------------------------------------------------------------- ----------------------------------------------------------We left grand old Savannah at 7:30am and hit the I-95 and I-20 super highways out of Georgia and into South Carolina. 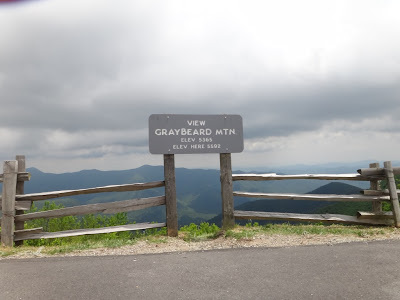 After a few hours we entered North Carolina near Spartenburg and found the entrance to the Blue Ridge Parkway at a town called Ashville. This was about lunchtime and we had a meal at a rest stop nearby. 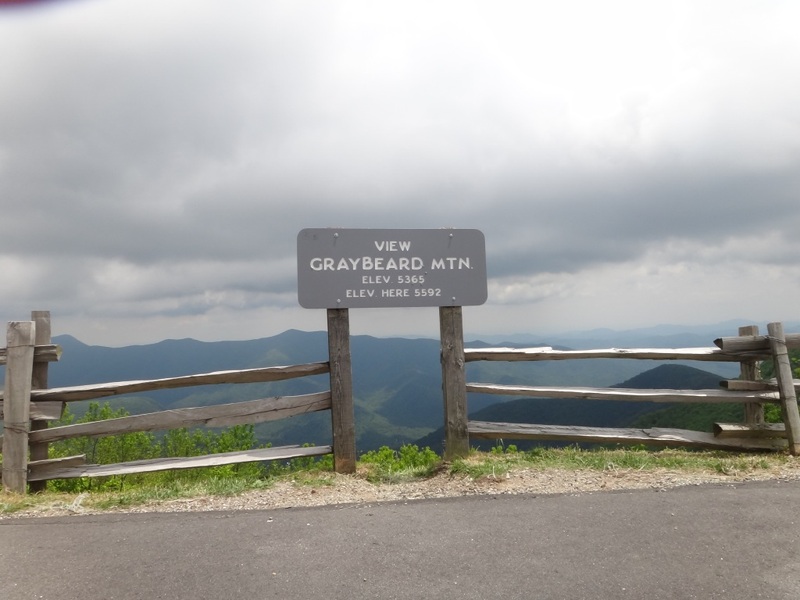 What is the Blue Ridge Parkway? 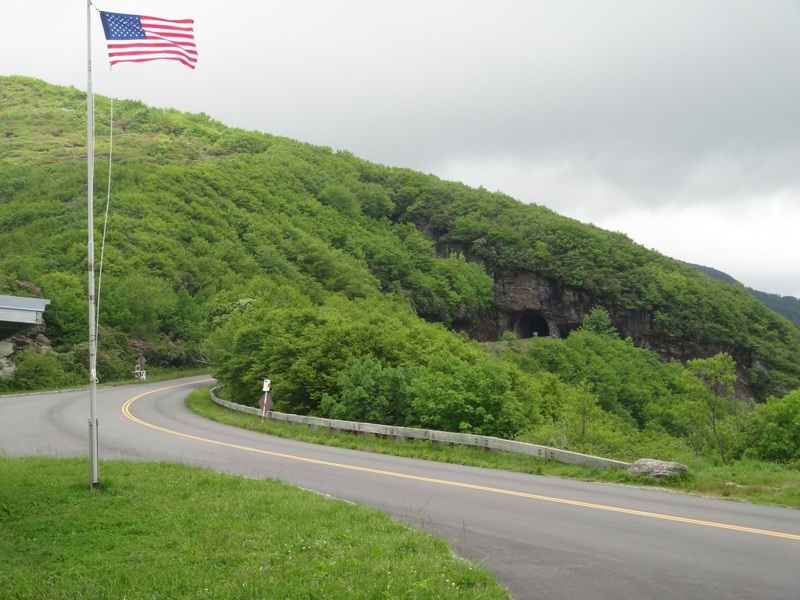 It is a famous American scenic drive that extends 469 miles along crests of the southern Appalachians and links two eastern national parks - Shenandoah and Great Smoky Mountains. Now.... did we see any bango-plucking three toe'd yokels - Deliverence style? No but we met many polite and affable locals and country folk up here. We expected to hear names like Daisy-Mae, Jim-Bob, Jethro or Li'l Abner. The views from the tops of these mountains are spectacular and not unlike our off-the-beaten tracks in our Blue Mountains - except they are high up and offer many lookouts......sorry...I mean lookdowns! There are bears, racoons, skunks and other fauna up here, however we have not seen any such critters except for a leaping deer that crossed the road - and also a stuffed bear that Anne managed to buy - see photo above. We stopped at a place called Blowing Rock for our overnight stay. It reminds us of a scene from a lumberjacking town seen in many American movies. The town is small and cold (locals still use wood fires for heating even in summer time). Our reception girl remarked that she does not know why people visit and stay at this place? The reason why we picked Blowing Rock because of its close proximity to the parkway and is approx halfway along its length. Also it has many motels/accommodation.....sorry....I mean lodgings! For us it is quiet the local restaurant gave us a great trout dinner next to our very pleasant Holiday Inn accommodation. 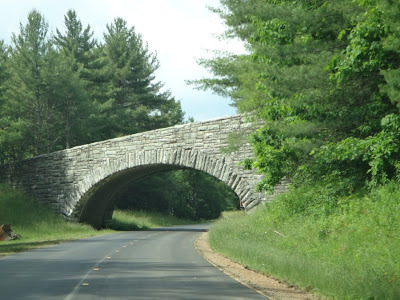 Tomorrow we continue with our Blue Ridge Parkway drive to a place called Roanoke in Virginia - it should take about 4.5 hours - thus taking our time to stop to see the great delights along this part of the road. Until then - cheers.